I just want to had out a few thanks to all you creators, I see alot of screens where people say "ooh where can i get that" instead of "hey wow that looks great, good job" so to chrisracer for your great route, thank you for your hard work. 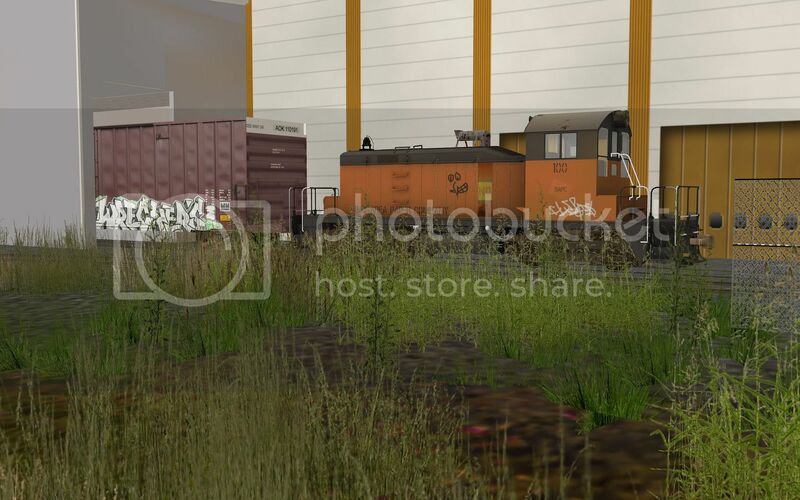 Thank you tyler and justin for your beautiful SD40-2, Thank you guys at VMD for that great Geep, thanks 007007 for your wonderful reskins, and thank you yutzk for the great tankers. well I think that covers it all. thank you all again. How did you get that smaller sun? Photoshop? Or did you find some way to build it in.....says he hopefully? Too bad. Trainz's sun is 10 times the size it should be. I guess I was hoping someone found a way around it. It should be an easy fix for them (Auran) but I doubt we will see it any time soon.